Nete Nørgaard Kristensen, PhD, is Associate Professor at Department of Media, Cognition and Communication, Section for Film, Media and Communication, University of Copenhagen. Her research areas include cultural and lifestyle journalism; journalism as a profession; political communication; media, war and conflict. 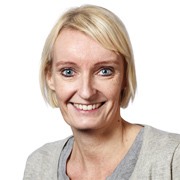 Currently she is PI of two externally funded research projects: 1) “From Ivory Tower to Twitter: Rethinking the Cultural Critic in Contemporary Media Culture” (funded by The Danish Research Council for Independent Research, 20915-19) and 2) « A Question of Quality? Nordic Cultural Critique in the Media and the Negotiation of Popular Culture » (funded by Arts Council Norway, 2016-17). She has published several books on media and journalism, most recently the edited books Cultural Journalism and Cultural Critique in a Changing Media Landscape (co-edited by Unni From, Routledge 2017) and Cultural Journalism in the Nordic Countries (co-edited by Kristina Riegert, Nordicom, 2017/in press). Furthermore she has published numerous articles in international journals such as Communication, Culture & Critique; Digital Journalism; Journalism – Theory, Practice, Criticism; Journalism Practice; MedieKultur; Media, War and Conflict; Northern Lights; Nordicom Review, Nordicom Information, Politik.